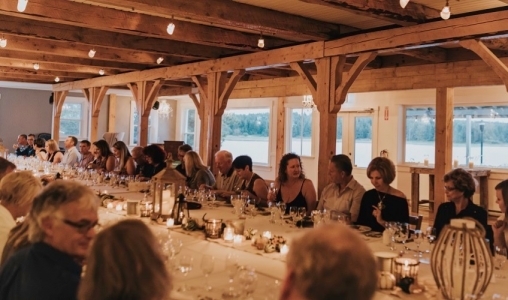 The RiverShed Ultimate Chef's Table is a one stop shop for culinary adventure on PEI. Learn from award winning Chef Kyle Panton of Sims Corner Steakhouse + Oyster Bar along with invited guests as you explore what it means to prepare and curate locally inspired meal. From guest chefs, sommeliers, brewers and cicerones, each Ultimate Chef's Table offers something different - choose the one your palate will appreciate most. Open July 17th, July 31st, August 14th, and August 28th. Historic Shaw’s Hotel/Restaurant has been offering renowned service and remarkable food since 1860. Our dining room overlooks the beauty of Brackley Bay creating an atmosphere that is relaxed and indulgent.